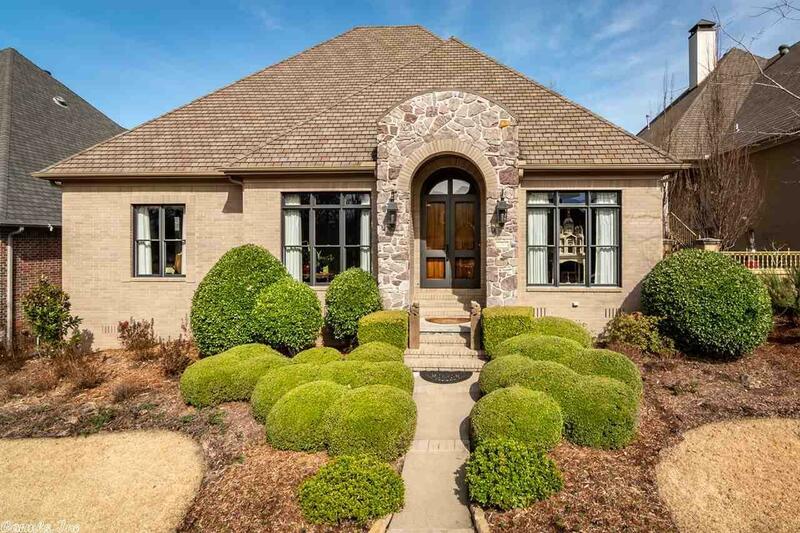 Stunning home located in the gated Chenal Valley neighborhood of the Oaks. This beauty lives like a one level w/ 3 bedrooms & 2.5 baths on the main level w/ the 4th bedroom & full bath upstairs. Wonderful floor plan offering a formal dining room, chef's kitchen w/ granite counters & stainless appliances open to the great room w/ built-ins & fireplace and an enclosed sun room. Features include custom draperies, vinyl clad wood windows, private backyard w/ green space, patio & wonderful landscaping!